The Polish Weekly | Tygodnik Polski » Take An Action With Polish Weekly Team! Request Apology from a Detroit Polish Radio Host Who Disrespect Americans Killed & Wounded in Action During the Vietnam War. Take An Action With Polish Weekly Team! Request Apology from a Detroit Polish Radio Host Who Disrespect Americans Killed & Wounded in Action During the Vietnam War. Why the Apparent Disrespect for the Service and Memory of the 58,000 Americans Killed and 153, 000 Americans Wounded in Action During the Vietnam War Requires a Significant Apology from a Detroit Polish Radio Host. It was with a deep sense of sadness that we listened on the blog site ForumDetroit.com (http://www.forumdetroit.com/index.php in the Radio Polish Varieties section comment 3268 dated July 8, 2014, presented at 9:43 am) link to hear an excerpt in his own words from Mr. Jerzy Różalski’s Polish Varieties radio program of July 5in which he appears to be denigrating the service of all those Americans who fought during the Vietnam War. In particular, we would remind Mr. Różalski that his remarks are viewed by many Polonians and other Americans as dishonoring the service of the 58,000 who gave their lives and the 153,000 who were wounded in action in the fight against Communism. While it is probably not worth it for us to point out to Mr. Różalski his error and the insensitivity of his remarks and to ask that he apologize to America’s Vietnam Veterans and their families, we will still try. 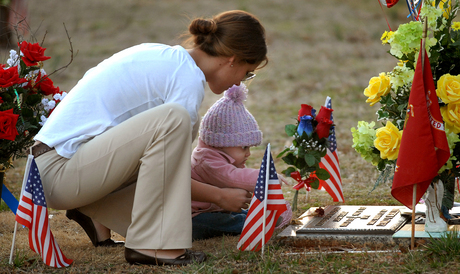 It is our duty to try out of respect for the individuals who served during the Vietnam War and their families and particularly for the memories of the fallen. The tragedy of the Vietnam War is that the hands of the American military strategy and even tactics were tied by militarily inexperienced civilians such as Defense Secretary Robert McNamara to whom they reported. It is fair to challenge the Vietnam War from a political perspective. However to challenge the service and sacrifice of so many Americans is unacceptable. Mr. Rózalski comment of July 5, 2014 is clear and unambiguous to many Polonians. Many of you are who are his supporters are emigrants from Communist Poland. In general you left to flee the evils of Communism for a better life in America. The same Communism whose philosophy and actions resulted in the deaths of hundreds of thousands of Poles since 1920 as well as the death of 58,000 Americans in the Vietnam War. A war which involved the North Vietnamese Communists along with significant and active Soviet participation and even a few Polish Communist military advisers. Don’t his words require you to speak out? Aren’t you concerned that silence will be interpreted as agreement with his position? Please encourage Mr. Różalski to sincerely and quickly apologize at least out of respect for America’s Vietnam War Dead and Wounded and in memory of your family and friends who suffered and especially those who died because of the Communists. It is clear to most Poles and Polonians that America is now providing lukewarm military and even political support for Poland and other nations involved in the struggle against a resurgent Russia, A Russia who historically caused the deaths of millions of Poles. Now added to that we have on July 17, 2014 the 298 multi-national individuals on Malaysia Air Flight 17 who were most likely murdered by a Russian surface to air missile over pro Russian controlled eastern Ukraine with the possibility of significant Russian complicity. While recent American civilian political leadership support for Poland has been poor to lukewarm at best, the American military has stood with Poland. Their continued support is important for Poland. Particularly important is the support of American service veterans who are a powerful political voice in America. 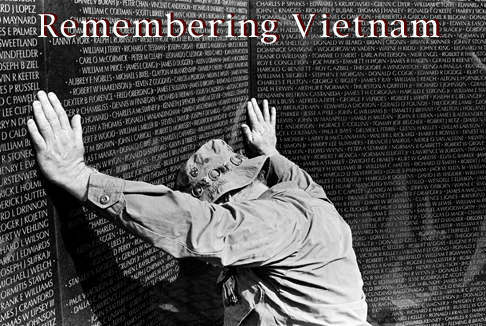 Do not forget that the overwhelming number of them today would be Vietnam War Veterans. The question now becomes “why should the millions of American War Veterans and their family members support Poland”? Particularly if Polonians tolerate in silencethe words of a Polish émigré’ radio host viewed by many as offensive, words which, in the opinion of many, dishonor their military service and especially the service of 58,000 American Veterans killed in the Vietnam War. To the Vietnam Veterans and their families please understand that Tygodnik Polski and the millions of Polonians and Polish citizens respect and honor your service to America and the cause of freedom for which you fought and for which too many of your fellow combatants were wounded and in particular those who were killed in action. Please do not judge us harshly because of the ignorant and insensitive remarks by someone who in no way represents our Polish community. This is a community from which many of our sons and brothers and even some of our daughters and sisters, other relatives and friends fought and died along side you in the fight against the spread of Communism in Southeast Asia. We are filled with a particularly deep sense of sadness and sorrow over the pain and betrayal which you must be now feeling. We are especially dismayed that such a pall should be cast over your service and the memory of the 58,000 Americans who died and the 153,000 wounded in action in Vietnam. Please remember that so many who stood with you and died beside you were of Polish descent. In a small measure which we hope will ease the burden of your pain our Assistant Editor Frank J. Dmuchowski is doing an article on the Vietnam Memorial Wall and in particular the Heroism of some the Medal of Honor Recipients of that War who were killed in action and whose names are on the Wall. We know there were many other acts of great heroism in the Vietnam War, some of which have been recognized but most will never be known about because all of the participants were killed in action. 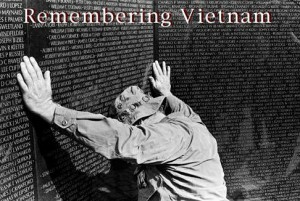 His article is intended as a respectful tribute to all who fought in Vietnam and particularly to those who were killed, wounded in action or who are still suffering the trauma of combat. We are deeply saddened and troubled that such a day should ever have occurred and that the cause of such hurt and sadness for you and yours would be a Polonian. Please know that the overwhelming number of Polonians and Poles respect your service and sacrifice in the historic fight against Communism. Fr. Lawrence Ventline D. Min.